Solid 2-story home with a new and charming front porch, 2 year old roof, new side door and some newer windows. The kitchen features wainscoting, dishwasher, built-in microwave and access to the enclosed porch/laundry area leading to a nice fenced-in backyard with 2 storage sheds. The dining room has hardwood flooring and a ceiling fan. Living and family rooms feature carpeting and ceiling fans. There are 2 staircases leading to 4 bedrooms and a full bath. Furnace is only 4 years old. 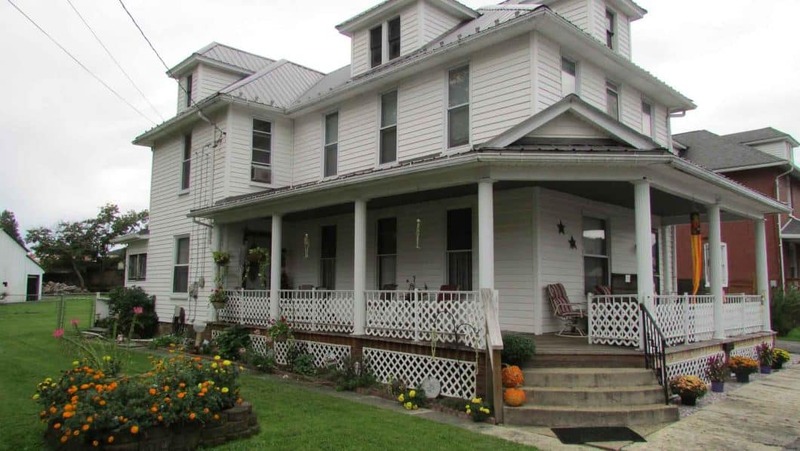 The home is located across from a community park and close to Bald Eagle State Park/Sayers Dam. Only 15 minutes to Lock Haven and 30 minutes to State College. Seller to be reimbursed for tank of oil. Sq. ft. per tax record card. Buyer should verify. Being sold AS-IS.